From Calflora, here is Taxon Information on Rosa minutifolia. 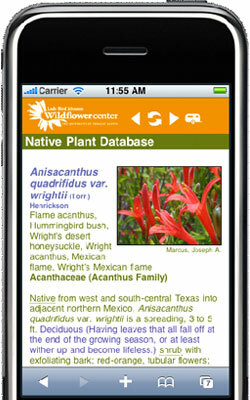 According to this USDA Plant Profile Map, it is native only to San Diego County in North America. Although the USDA is our source for material in our Native Plant Database, the map is all we can find in the USDA database, no information on whether it is native or introduced, etc. So, we have nothing in our database on it. We do know from the Taxon Information (above) that it is considered endangered, but not whether it is officially classified as native to North America. The best information we found on the plant was in the Las Pilitas Nursery website. "Since the 1970's Las Pilitas Nursery has been combining research and California native plants. We do the work, you get to play with the plants and enjoy the resulting web pages." So, we will accept their word that this is a native plant to North America, but so far we still have found no information on growing conditions that might give us a clue to the answer to your question. The California Coastal Rose Society has a long article on it, but it infers more that the plant is disappearing altogether than that it has trouble retaining blooms long enough to seed. "USDA zone 9b and warmer. Can be used for specimen. Benefits from winter protection in colder climates. drought resistant. prefers dry climates. prefers full sun. prefers warmer sites. Do not prune." Perhaps it is getting too much water and not enough sun, both of which can inhibit blooming in a rosa genus. Be sure and not sprinkle the leaves to water, as this is conducive to mildew, which could also be causing petal drop. October 07, 2007 - I live in Central Austin. My question is: When is the best time to trim back Pineapple Sage and Salvia Gregii? How far back should these plants be trimmed? July 01, 2013 - Please let me know what grows in the backyard in Tampa, FL to provide screening and privacy?